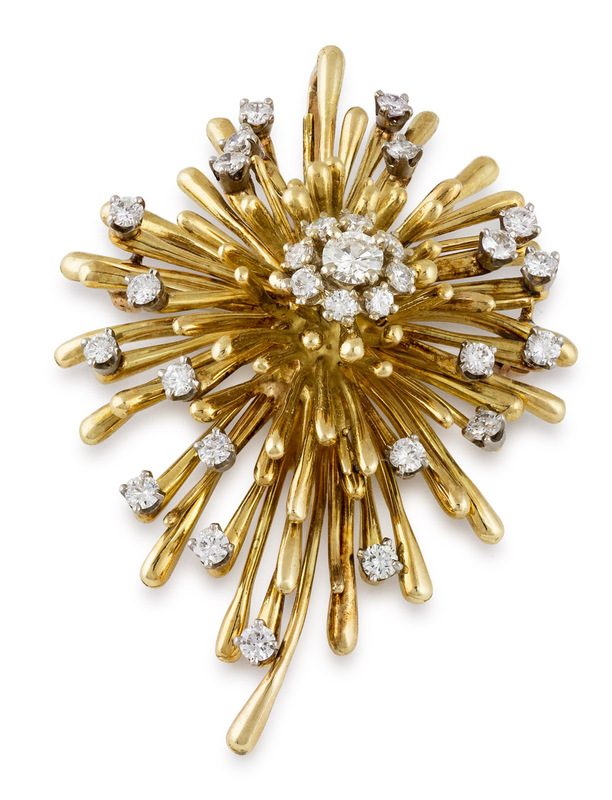 A signed Hammerman Brothers original design. 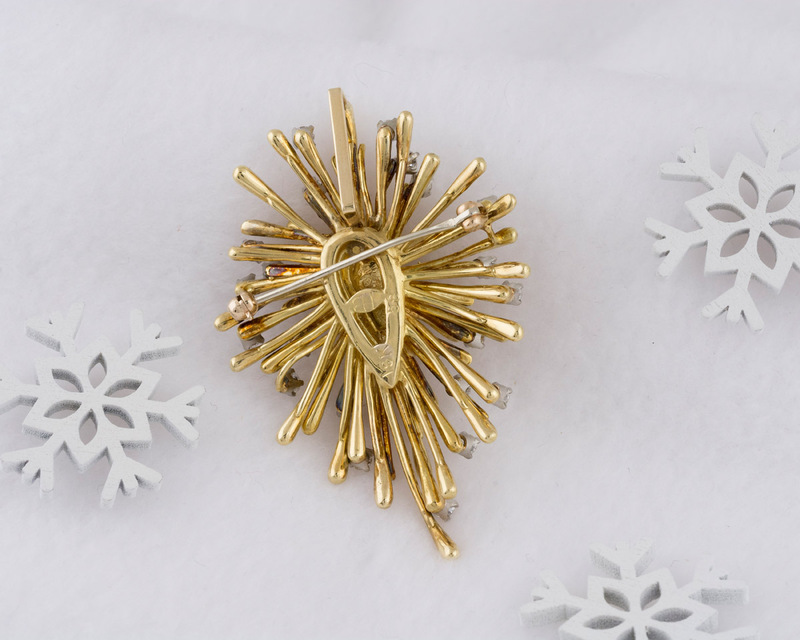 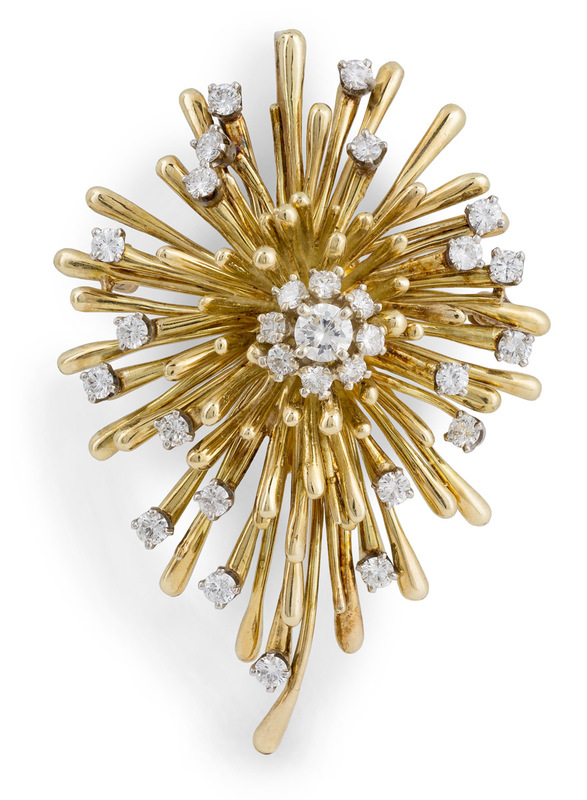 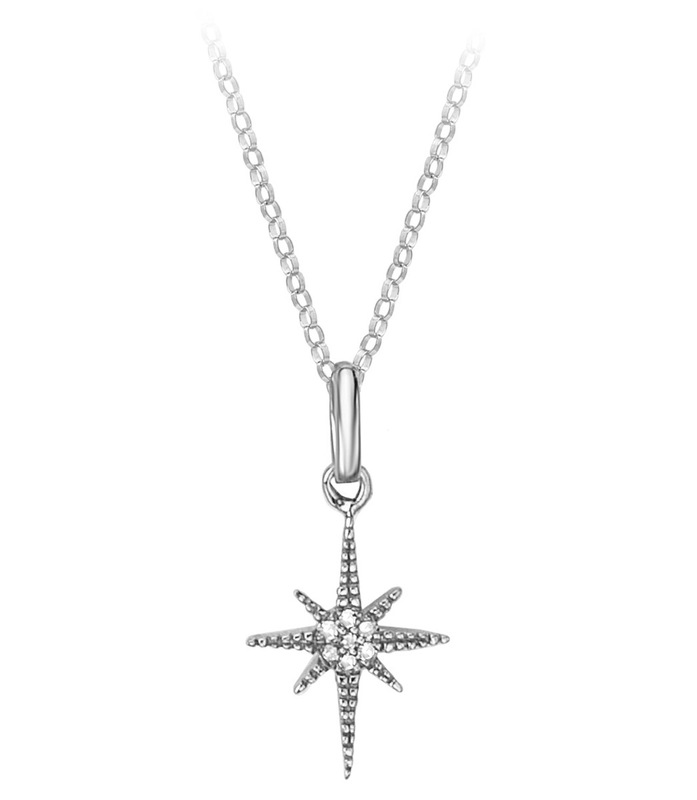 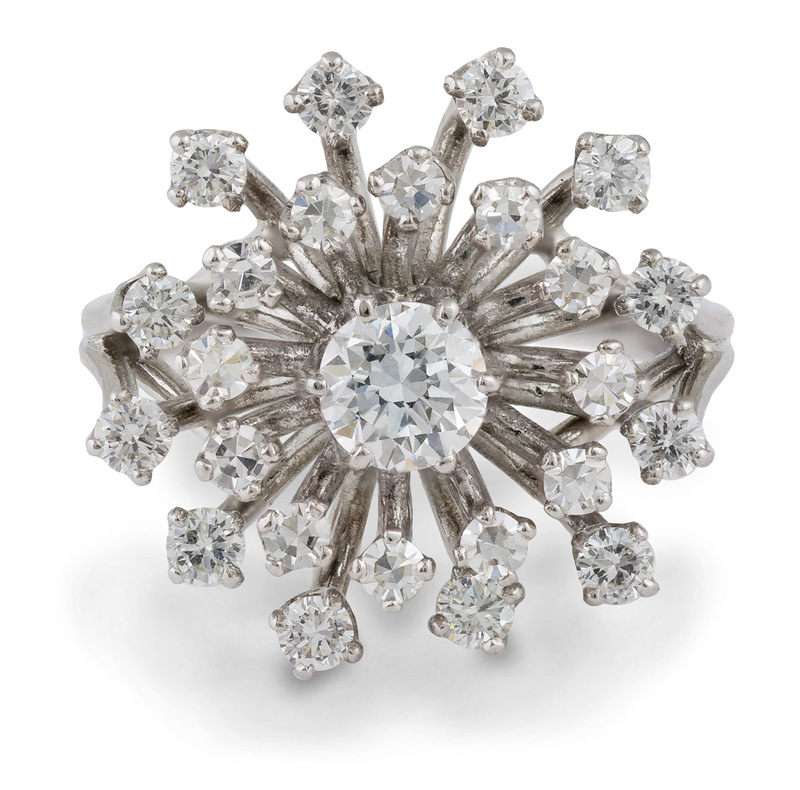 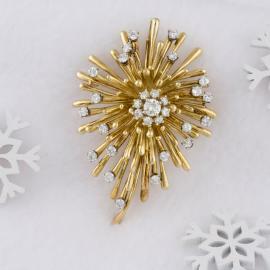 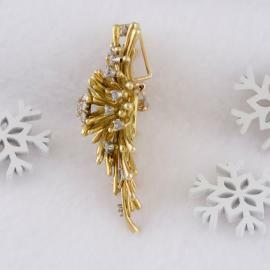 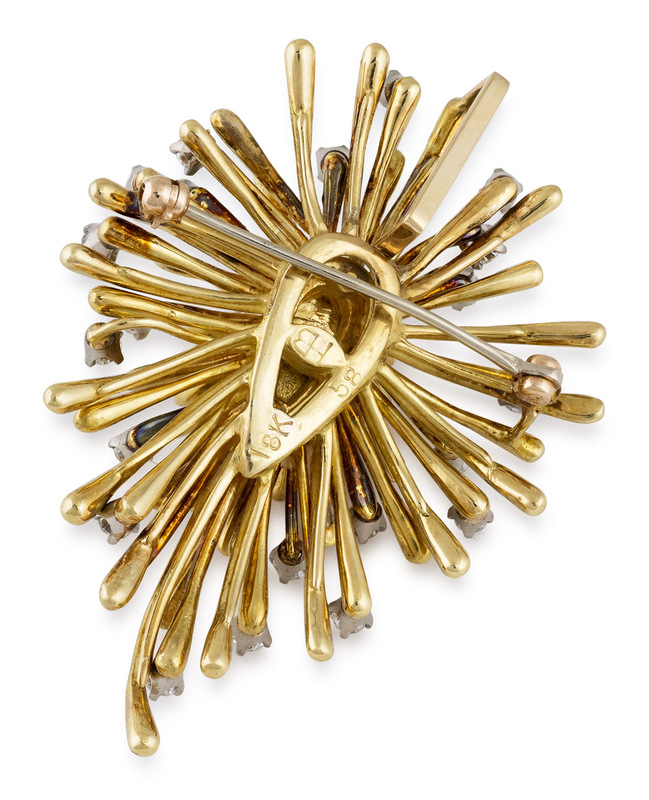 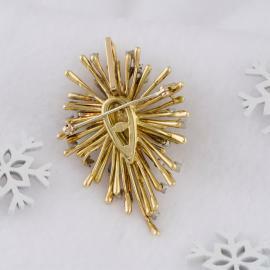 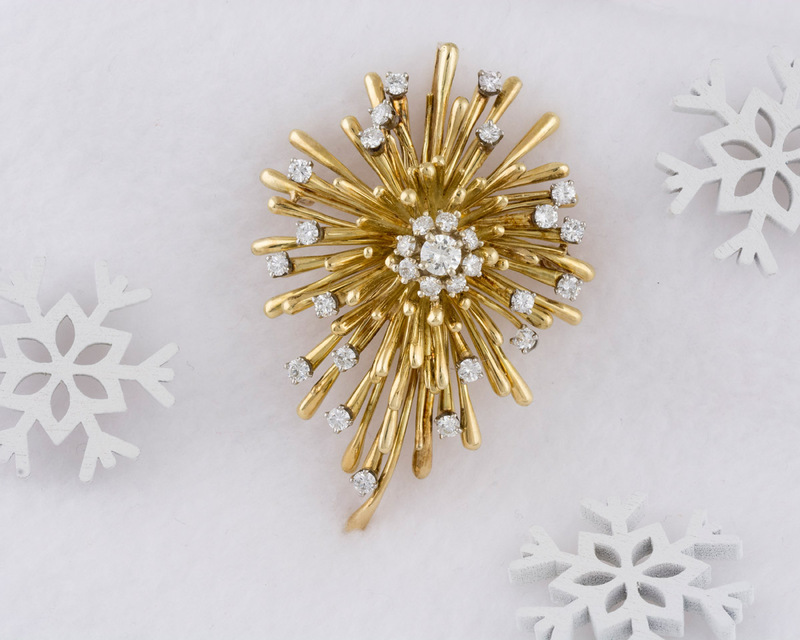 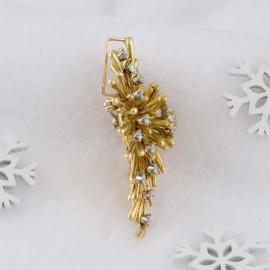 This stunning vintage piece has a starburst cluster design, heavily accented with diamonds. 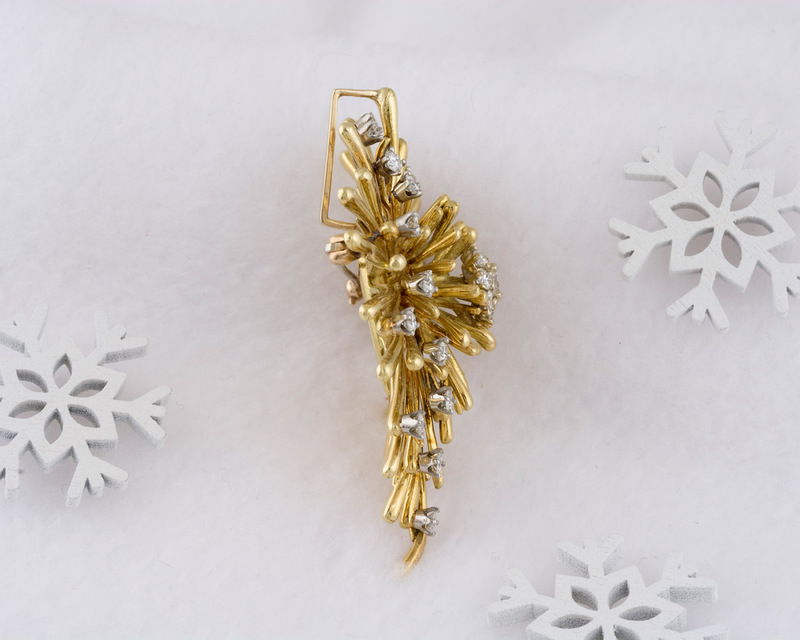 You can wear it as a brooch, or slip it onto a chain and easily convert it into a pendant. 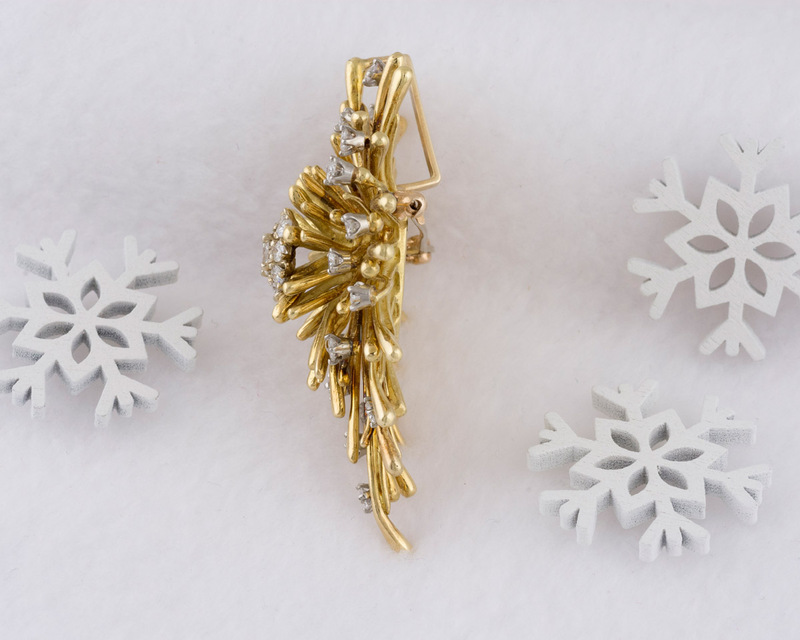 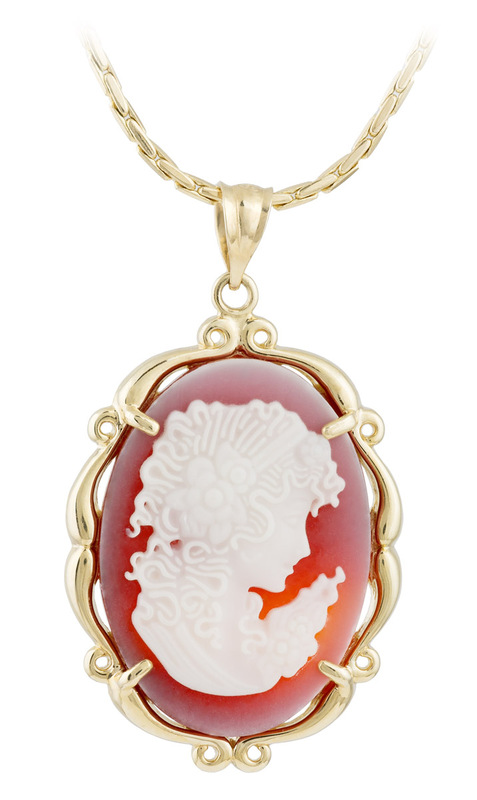 Chic and stylish jewelry that makes a statement… and also a great gift!